My wife and I have been in the Cheshire County area for over 30 years. Before building my painting business, my professional background was medical management. I've come to know many people in the Keene NH community, and have built strong relationships with them, both in my personal life and professional life. My approach my painting business with the same attitude of building strong relationships. Word of mouth is how I've built my business, and continue to believe that personal testimonials is the best form of advertisement. 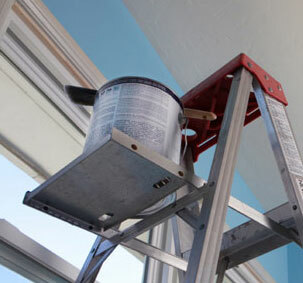 My approach to any of my jobs, whether it be for painting, wallpapering, or staining, is very honest and practical. I will tell you if I I don't think you need to strip your wallpaper. Maybe you need to consider cosmetic touch ups or drywall repairs before contracting me for painting. Whatever the project my be, from the initial preparation to the final topcoat, I want to insure that your painting or wallpaper project will stay beautiful for years to come.